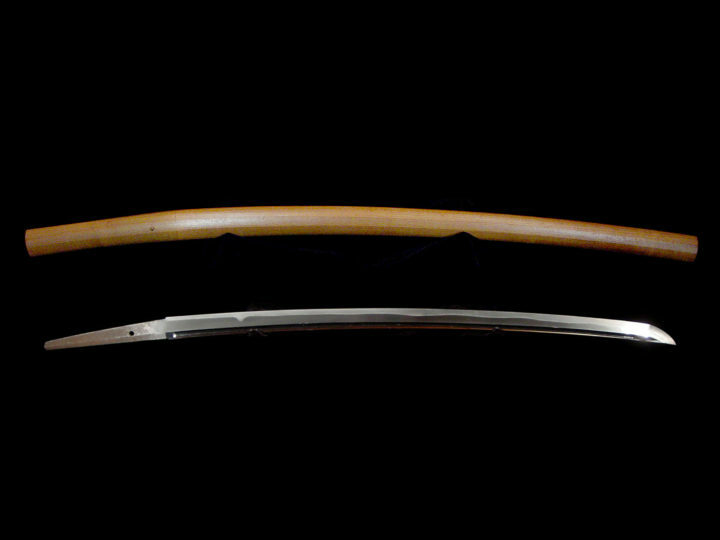 This is an absolutely beautiful koto katana attributed to the Bungo Takada smith, Muneyuki. Muneyuki was a smith who worked around 1573 in Bungo Province. 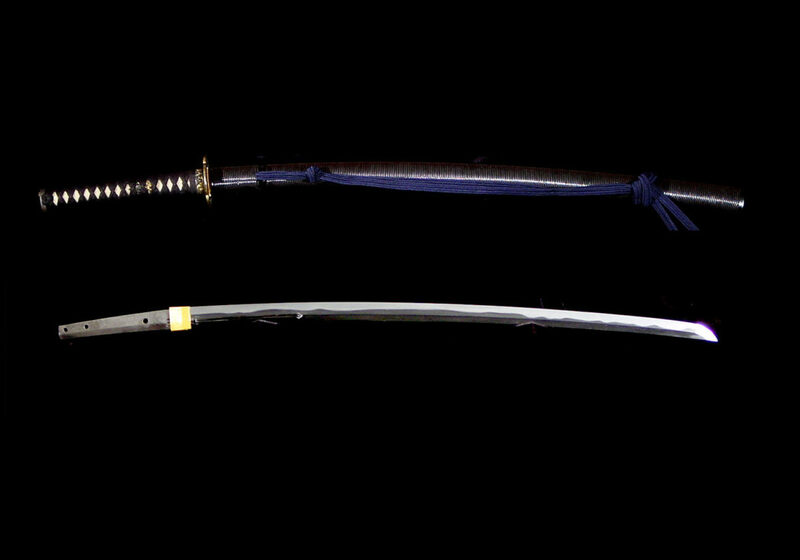 Bungo swords were renowned for their sharpness and durability and for those reasons they were favored by serious Samurai during the era of constant warfare when this blade was made. 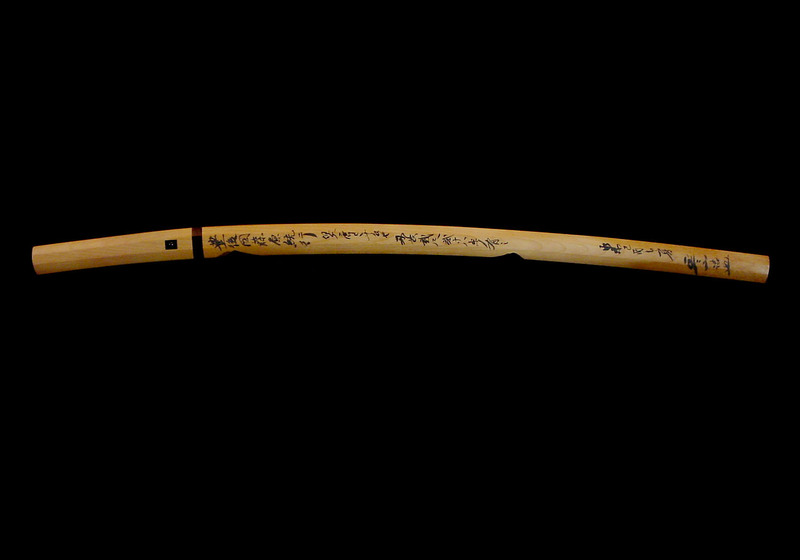 This blade is o-suriage mumei and has lost its original signature. Even though it has been shortened, it still has a beautiful shape and graceful koshi-sori measuring 0.64 inches or 1.6 cm. 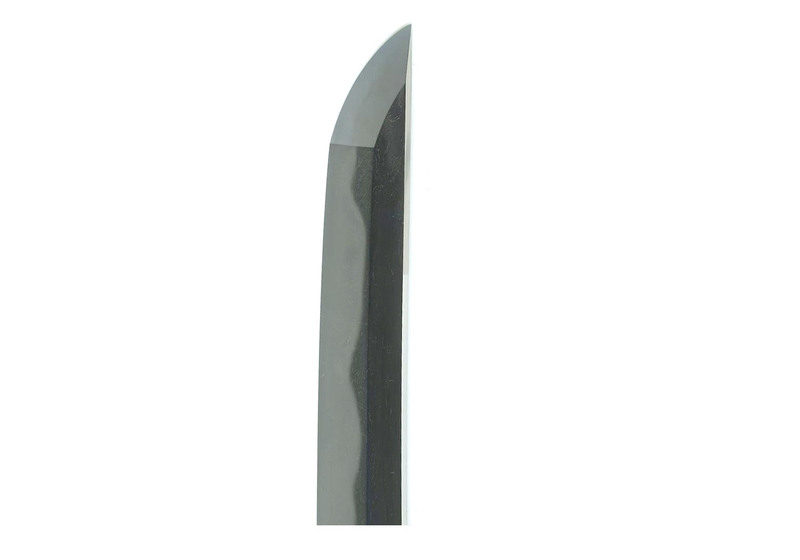 The length of the cutting edge of this blade is 27.25 inches or 69.2 cm. 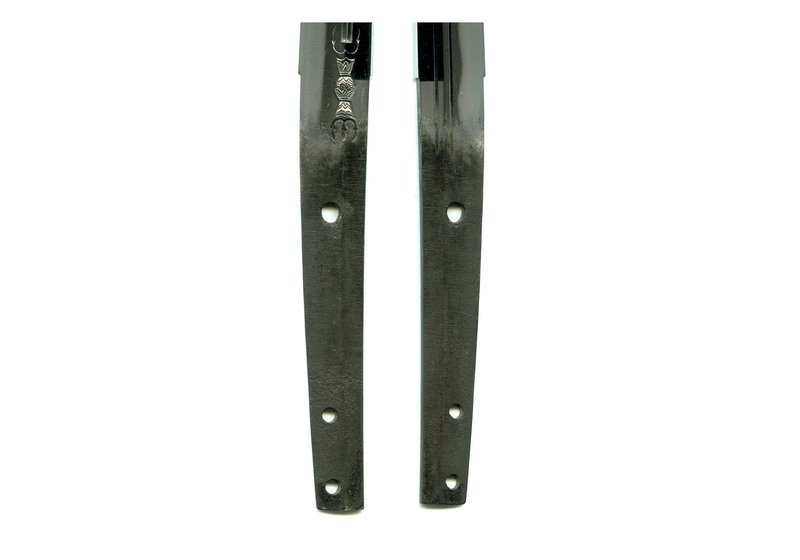 The width at the moto-haba is 1.13 inches or 2.9 cm and the saki-haba is 0.78 inches or 2.0 cm. 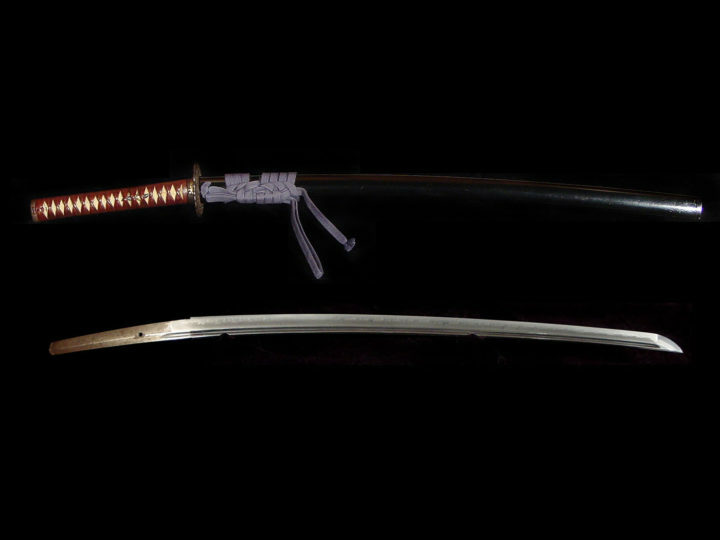 The kasane is 0.24 inches or 0.6 cm. 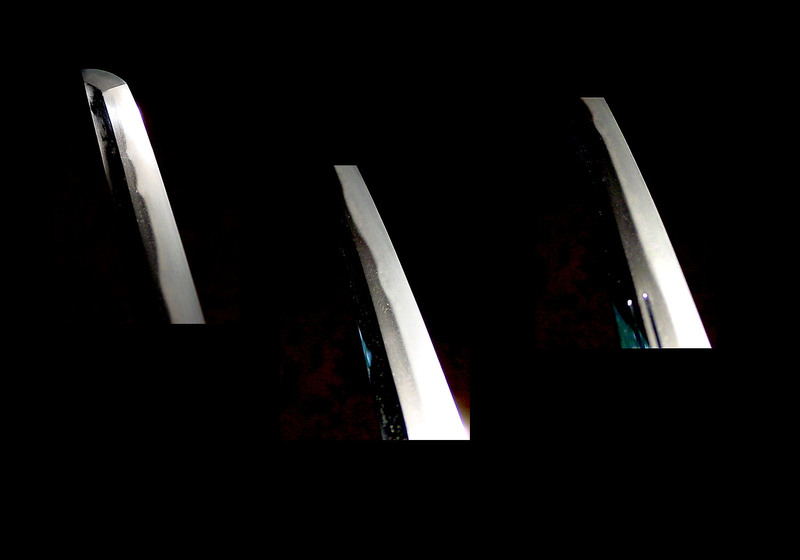 The hamon is a ko-gunome midare mixed with areas of billowing o-gunome midare and choji, especially in the monouchi area of the blade. 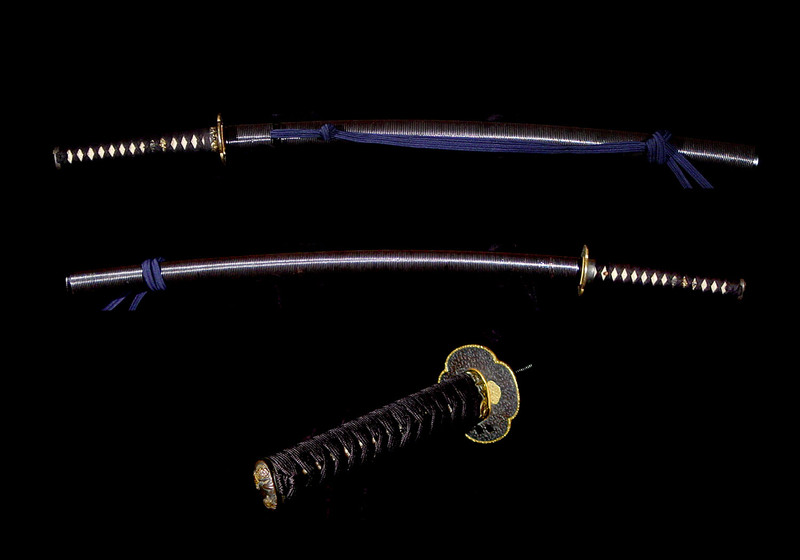 There are numerous activities in and around the hamon including ashi, yo, nie, etc. The bôshi is nie-kuzure and hakkikake. It continues down the mune particularly on the ura. The hada is a quite beautiful mixture of flowing itame and o-mokume. The blade has some very nice horimono. The omote has a ken with sankozuka and the ura has two short futatsu hi. 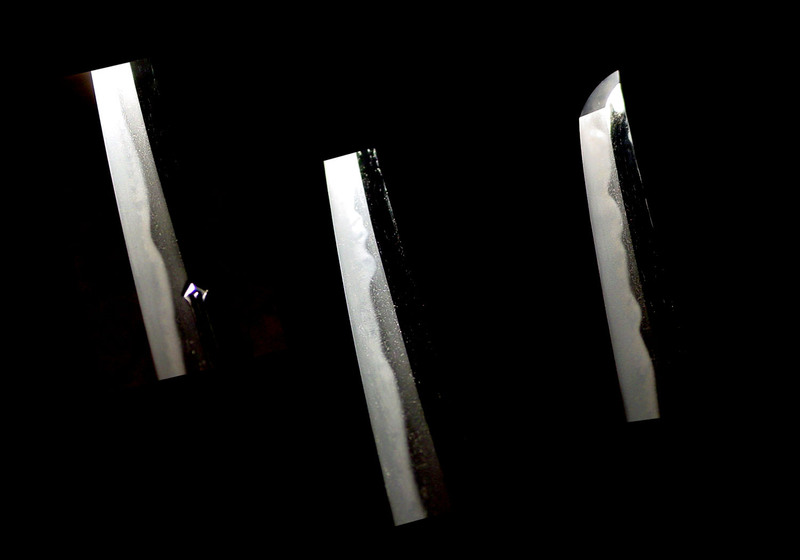 Both of these carvings extend under the habaki due to the shortening of the blade. 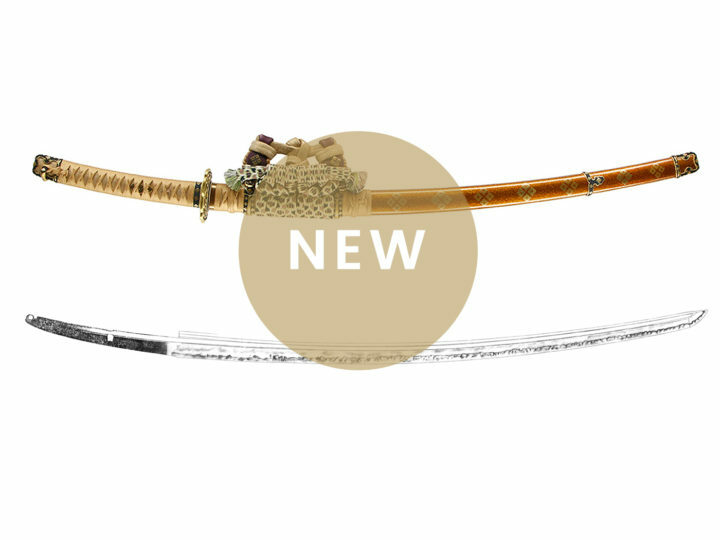 This blade comes with a fine set of koshirae from the Edo era. 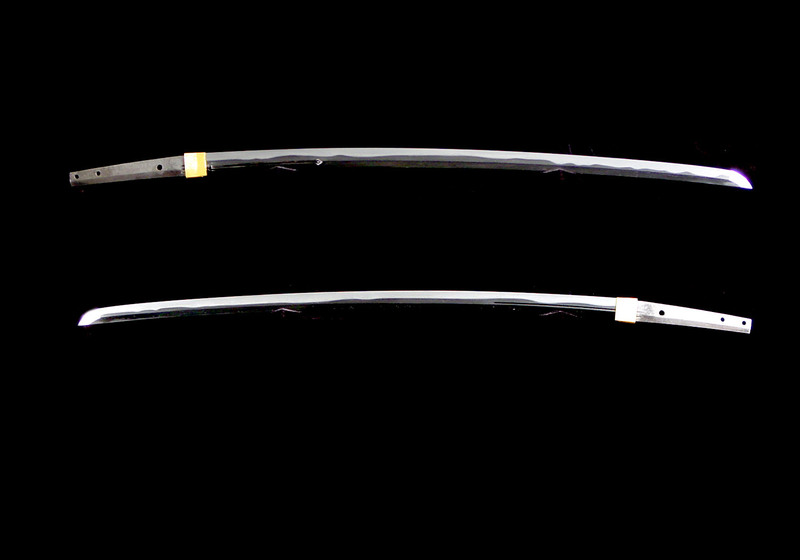 The black lacquered ribbed saya is beautifully made and in almost perfect condition. 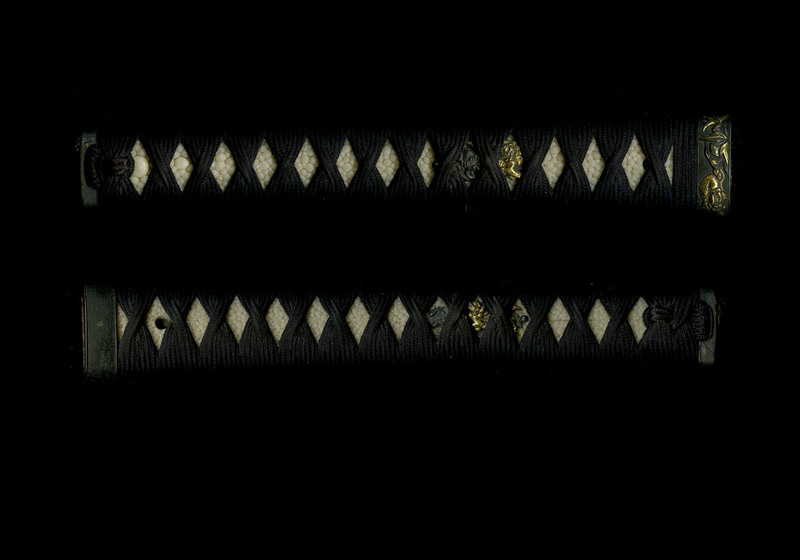 The tsuba is shakudo with a brass rim. 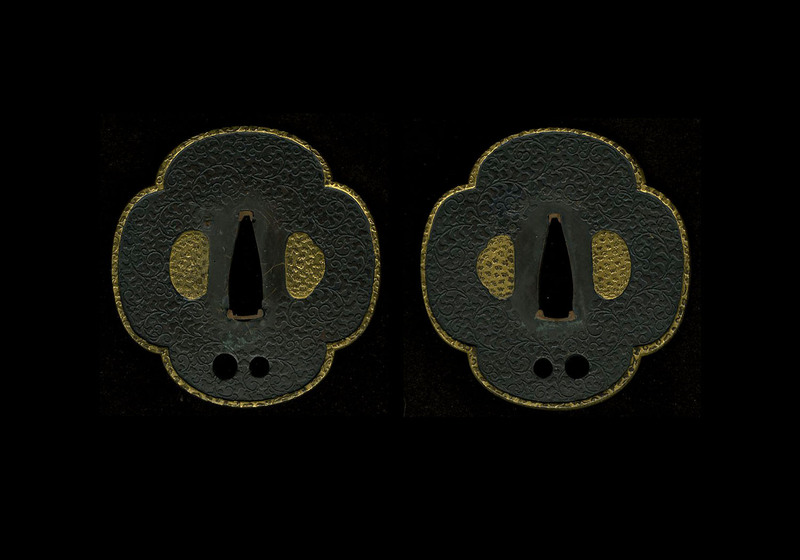 The plate of the tsuba is delicately carved on both sides with leaves and tendrils. The brass rim is also carved. The fuchi, kashira, and menuki are all of shakudo and gold and depict shishi lions frolicking. This sword comes with NBTHK Hozon papers attesting to the attribution to Muneyuki. 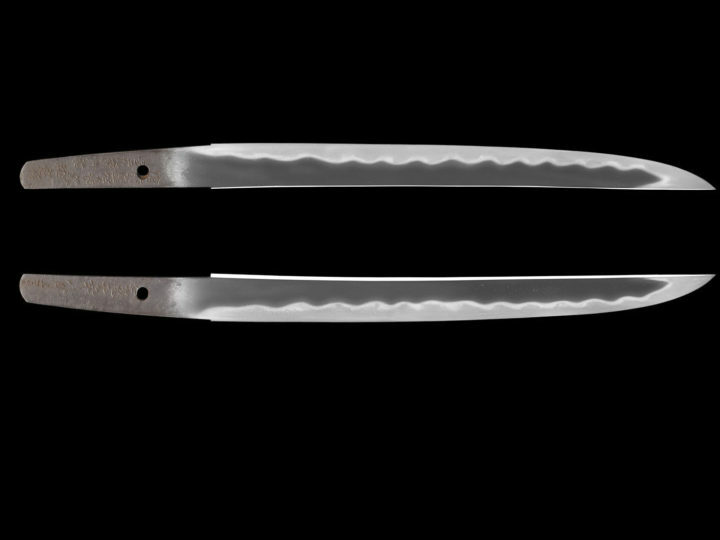 There is also a sayagaki on the shirasaya done by Kanzan Sato, one of the founders of the NBTHK, attesting to this same opinion. 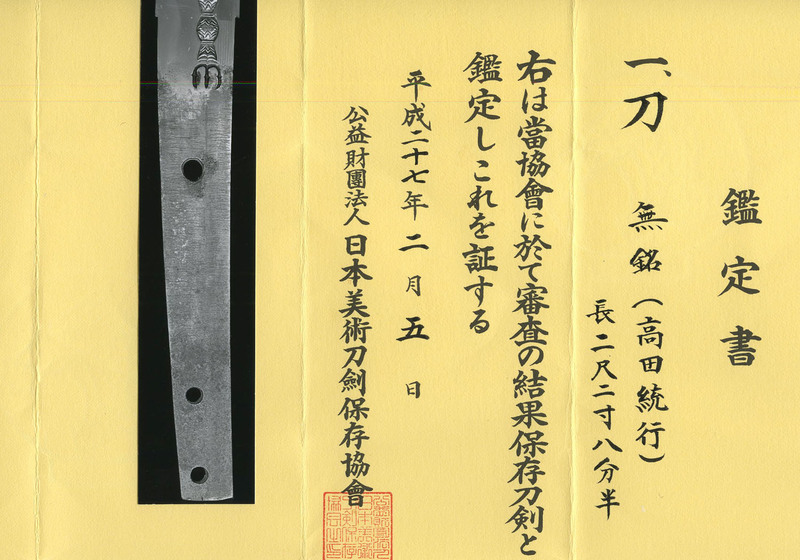 I just purchased this sword in Japan where dealers and collectors freely admit that they will only seek Hozon papers to save paying the higher fees for Tokubetsu Hozon papers.